There are so many great things happening throughout the month of May. The weather is warming up, the flowers are blooming, and the eCommerce trade shows keep on coming! Keep reading to learn more about some of the best conferences taking place this month. The Sellers Summit 2018 will take place at the Westin Fort Lauderdale Beach Resort from May 3-5. The conference is geared toward eCommerce businesses and is billed as “The Ultimate eCommerce Learning Conference.” It is a curriculum-based conference that embraces an intimate setting to enable everyone to benefit from a small group learning environment. The event will be divided into two main tracks, for beginners and experienced sellers. Topics that will be covered throughout the workshop include creating a business road map, how to get your first sale, email marketing, social media, PPC advertising, and more. B2B Online 2018 will take place at the Chicago Marriott Downtown from May 7-9. This digital and eCommerce conference was established to bring manufacturers and distributers together to discover retailers in their marketplaces. It’s an excellent opportunity for attendees to share their ideas, insights, success, and failures when it comes to digital strategies for businesses. Additionally, B2B Online 2018 also provides sponsors and exhibitors with the unique opportunity to directly interact and connect with eCommerce leads. The 2018 Click Summit will return to Cary, NC and be held on May 7-9. As one of the premier testing and optimization events of the year, the Summit brings together analysts, optimizers, and marketers from all areas of the country to share their ideas on testing and optimization. The Summit utilizes peer-to-peer learning, in the form of sharing successes and challenges, round-table discussions, and interactive conversations (rather than sessions). The 3rd Annual Dynamic Distribution Disruption Retail Summit will take place at the Marriott Brooklyn Bridge in New York City from May 10-11. The ultimate goal of this event is to offer insights and provide expertise on how to create an end-to-end omnichannel supply chain roadmap. 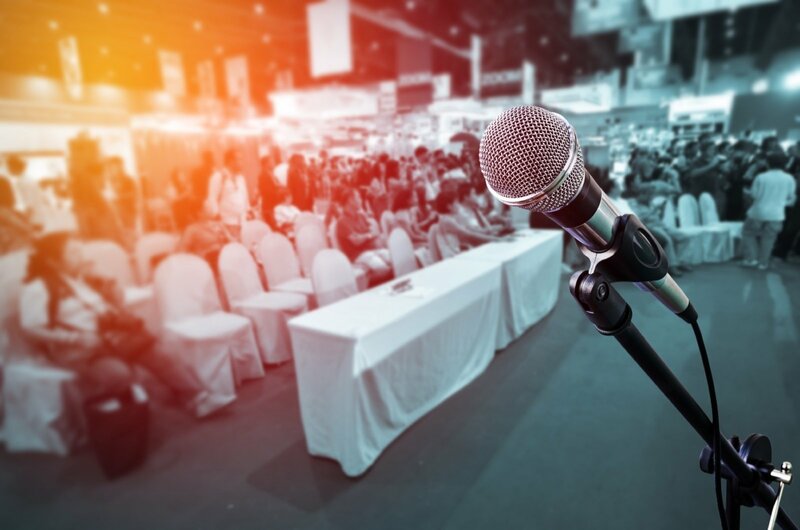 Topics that will be discussed include supplier collaboration, same-day delivery solutions, inventory optimization, customer data-driven supply chain strategies, and more. With over 400 anticipated attendees, 40 industry speakers, and an inspiring agenda, D3 Retail Summit is a fantastic opportunity to learn new supply chain strategies and network with the community. The 2018 CNP Expo is coming to the Rosen Shingle Creek Resort in Orlando, FL from May 14-17. The CNP Expo is committed to the coming together of security, eCommerce, software, mobile retail, and payments. Connect with eCommerce leads and professionals to expand your knowledge on this unique industry. The focus being every type of business and industry that card-not-present transactions impact including, merchants, vendors, educators, government agencies, startups, nonprofits, consultants, legal counsel, and more. The 2018 Subscription Summit will take place at the Sheraton Denver Downtown Hotel in Denver, CO from May 30 – June 1. In fact, this conference is the first and only of its kind. This event is held exclusively for businesses and professionals who work within the subscription commerce industry. Attendees at the Subscription Summit will have the opportunity to learn about best practices and scalable business models from those who have experience in the industry. Find out what has worked for other companies, how they are marketing, what challenges they are facing, industry trends, and more.